Brother PE-Design 8 Rus FancyWorks. 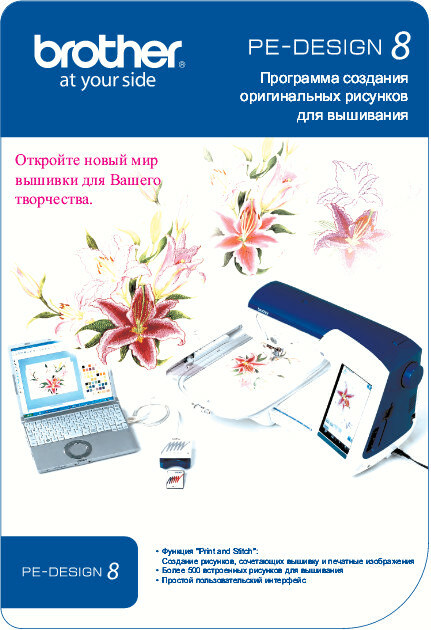 Embroidery Software. Designs. Machine embroidery. Embird. Tajima. PE-Design. Compucon. Bernina. Wilcom. Russifiers programs. Cross-stitch. Free embroidery. Magazines embroidery. Magazines needlework. Books on needlework. Books on embroidery. The program for creating tracks Embroidery.